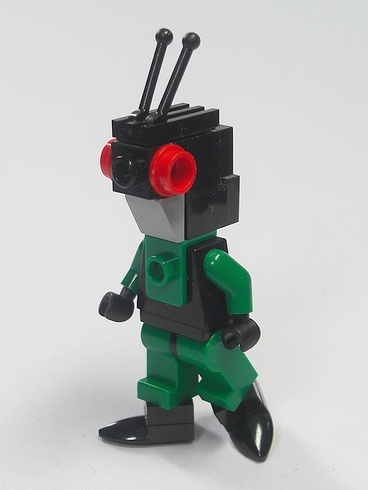 Say hello to Kamen Rider, from the successful 70’s Japanese TV franchise of the same name. 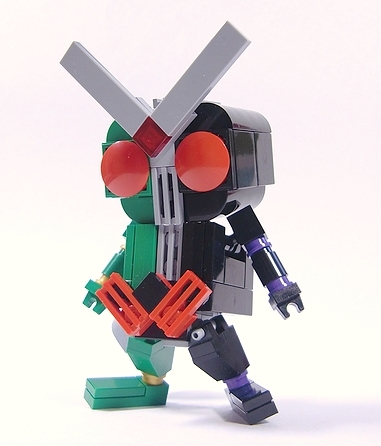 This build is the work of Japanese pop-culture aficionado Moko. 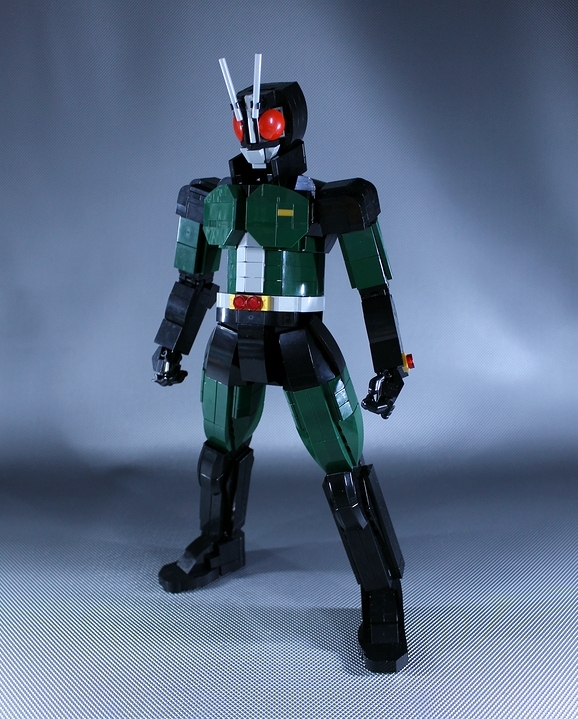 If it looks strangely familiar, that may be because Kamen Rider was the inspiration for a certain 90’s American knock-off called the Power Rangers (which, confusingly, spawned a spin-off called Masked Rider that aped the original show). 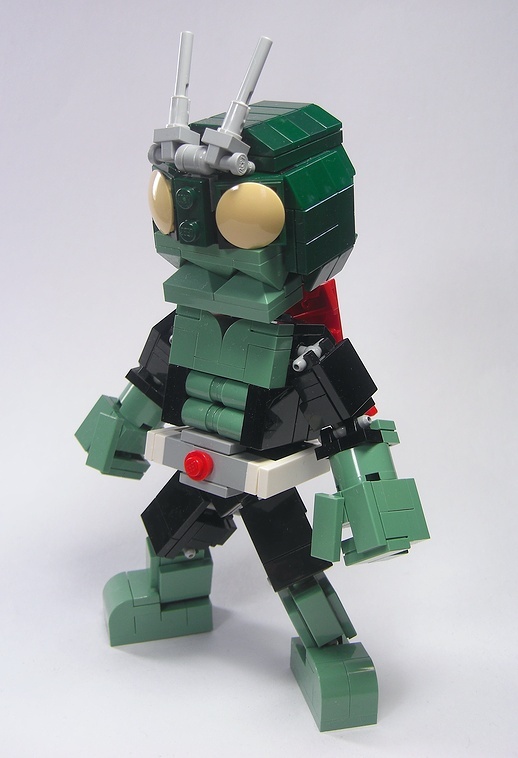 I love this piece not only because of its perfectly proportioned stud-less design, but because it’s just the latest in a long line of explorations of the masked rider by this builder, going back as far as 2006. Though with this latest interpretation, I think it’s fair to say he’s finally nailed it!